I love my friends who “want to put Christ back in Christmas,” and I honor their viewpoint. I grew up with strong Catholic roots, and I love celebrating the birthday of Jesus. But I don’t think saying “Merry Christmas” instead of “Happy Holidays” necessarily does the trick of what’s at the heart of that Christ in Christmas expression—making people act more Christ-like or more aware of the religious roots of the season. Let’s put this in perspective. No one wants to inhibit your freedom to say Merry Christmas at church, among fellow Christians at home or in any other setting, except those that are more public where people of all faiths converge. If you know someone is Christian, “Merry Christmas” the right thing to say. “Happy Chanukah” is the appropriate greeting for someone who’s Jewish. Happy Solstice is a good bet for your favorite agnostic. But out and about, where you might not know someone’s spirituality or lack thereof—that’s another story. Here’s an empathy experiment. Imagine you’re Christian and you just landed on a planet where Christianity is not the norm. It’s a festive time of year and people are shouting (pick one) Happy Chanukah, Allah Be Praised, or Atheists Rock! No one acknowledges your beliefs, and you feel like a lonely petunia in an onion patch. If your beliefs are close to your heart, this can be painful and isolating. At best, it is hurtful or irritating; at worst, when done consistently, it contributes to an intimidating atmosphere where people do not feel safe to share themselves. Beliefs reflect the core of who we are. In the end, "Happy Holidays" isn't about being politically correct. It's about being considerate and thoughtful, inclusive of all. When “Happy Holidays” first became the politically correct greeting, I, too, resented it. I felt like a lifetime of celebrating the season in a way that wove religion, spiritual perspective, and general goodwill had been forcibly replaced by something that sounded secular and cold. It took me a long time to get the point. We are free to “talk amongst ourselves” in a very candid way in any homogenous group, but once we mix it up, we have to consider the comfort of others. It’s the Golden Rule. It’s the teaching of Jesus at his best, and I daresay of the prophets from any number of other religions. Inclusiveness is the epitome of Christianity. Jesus ministered to the fringe of society—the poor, the sick, the disenfranchised. This loving kindness and welcoming is reflected in the beliefs of many other paths up the mountain. I appreciate that there are those who believe in their heart of hearts that their faith is the one and only way to salvation. But out in the world, it’s not OK with me—or a lot of other people—to emphasize it. Religion can be even more divisive than politics and this time of year, especially, we need to focus on the love in which we’re all joined. There will never be peace on earth unless we learn to stand comfortably in our beliefs while respecting each other’s unique way of seeing things. Lastly, we are wrong to assume that saying “Happy Holidays” is secular or implies a person whose only interest in December is shopping and the presents she receives. As one of my friends recently reminded me, the word “holiday” is derived from “holy day.” You can make the winter celebrations more ecumenical or universal, but you can’t deny their roots. Many people would be surprised to know that the Christian holiday traditions drew heavily from pre-existing pagan practices. The original “Christians” were Jews before they split into two separate faiths. The simple expression, “Happy Holidays,” has a lot more togetherness behind it than meets the eye. The degree to which that’s true depends on the mind and heart of the person saying it. Let’s try a collective experiment. The next time you say “Happy Holidays,” make it an open-minded, open-hearted outpouring of goodwill and the only true gift anyone you can give anyone—to love them just the way they are. This post is a reprint from my blog, Hot Flashbacks, Cool Insights, originally published on 10-Dec-09. Extra! Reader Linda from Tempe, AZ shared a carol in the spirit of this message. She doesn't know the source, so if anyone else knows how to attribute it, please let me know--and I will. I'm also using it at my own Winter Solstice celebration this year. To one and to all. And we know, even if they don’t. Share the light, share the light! All paths are one path. Lighted tree or burning log. Or the eight candle flames. This post is so close to my heart! I was born Jewish in this lifetime, to agnostic parents, and was not indoctrinated in matters of faith. As a child I developed my own relationship with God, and through school teaching also a relationship with Jesus. You are so right, I always was hurt by the contention that no one of another faith could enter heaven – I knew it could not be true! Two books proved very healing in early adulthood in this particular respect, and they were both Spiritualist. The first, which I read at 21, was “The Unbroken Link” by Rose Ling, which described the spheres of heaven, and brought back memories of pre-birth. The second, which I read a few years later, was “The World Beyond” by Ruth Montgomery, which described the surprise of people of one faith when they passed over and discovered that people of all faith were in heaven! Since childhood, if anyone has asked me my religion, I have replied “Universalism”, trying to honour all faiths and promote tolerance. 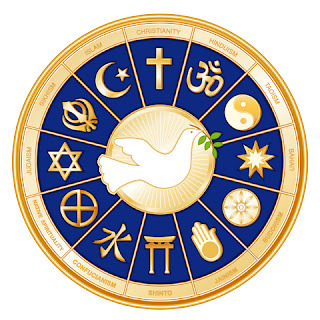 The origins and source of all religions are mystical and in agreement about the truths of love and harmlessness, and the barriers between religion are artificial constructions which have arisen since. We have passed through all religions in our past lives. God created everyone, regardless of where they happened to be born. Peace to all! And a big thankyou to you. Lana, I'm so happy to know your story and that this post touched your heart. There's a Native American expression about not judging someone until you've walked a mile in their moccasins. Maybe this holiday season, we need to put ourselves in others' shoes and simply try to understand their perspective. I think this becomes so emotionally charged because we build our lives around our beliefs, and if we encounter a different viewpoint that makes us think, we might (gulp!) have to consider changing. And we know how well most people do with that, LOL! Because I grew up Catholic in a Jewish neighborhood, I learned to treasure aspects of both religions. That stretched me to always look for the good in every path. in Denmark we say 'god jul', happy yuletide, our viking greeting has managed to survive some 1000 years of various forms of Christendom. Congratulations on finishing your novel, Joyce, fingers crossed that you'll succeed in the competition, what an achivement, making a big plan and pulling it through! Hi, Mads! I love "god jul" and may share that with the women at my Solstice gathering! Thanks for all your good wishes. I've had an amazing 2010 full of both hard work and satisfying accomplishments, both inner and outer. It would be great to win the contest, which I visualize often. If not, having it as impetus to get my novel done is a big enough win. I plan for it to be on its way to publication in 2012, one way or another! Email Marketing You Can Trust Occasional updates and special offers. Joyce is no longer doing consultations or collecting data for Chiron research. She'd be happy to refer you to one of her talented colleagues. E-mail her for suggestions. Sign up for periodic newletter updates! Inside scoop and special offers. 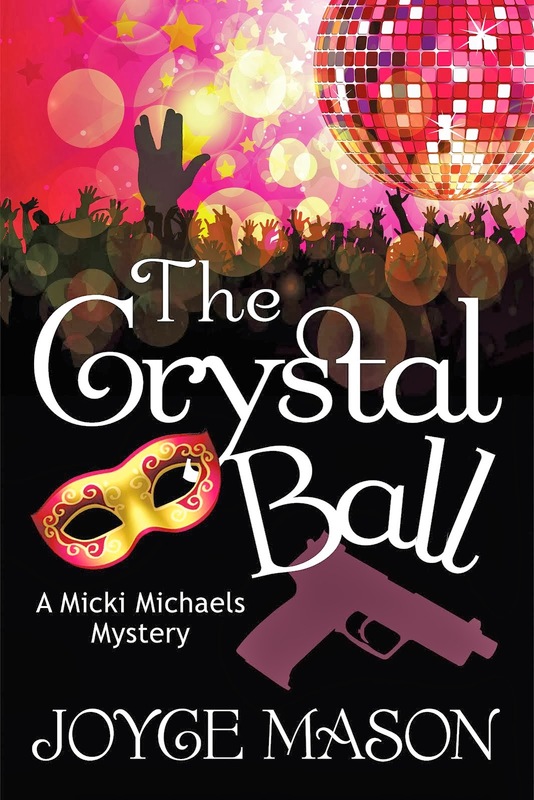 Joyce's debut mystery series features an astrologer and her ex-FBI agent beau who mix it up with a bad guy, out to steal a longevity organization's secrets. You're invited to the party where it happens, an outrageous costume ball in San Francisco. Astrology - Mystery - Longevity! Visit The Radical Virgo Store for all e-books and products or see them featured below. 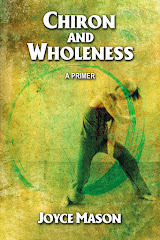 50 Passageways to Healing and Wholeness - PDF eBook, $9.99. Click pic for complete details on launch post. PDF version is lushly illustrated. Read the launch post and update with reader feedback for details, $7.95. Expore Chiron through the healing art of poetry. 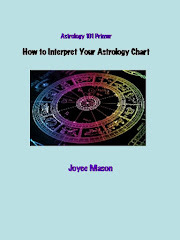 Includes background, intro on Chiron, and a poem for each Chiron sign suitable for framing. Click pic for more details. The art alone is healing! $4.99. Click pic to read "PUNCs E-volve" post for details, $9.99. Learn the ABCs of astrologese! Click image for more details, $4.99. What is a Radical Virgo? To learn the characteristics of a Radical Virgo, read Joyce Mason’s article, “The Radical Virgo.” In a nutshell, these Virgos are not the old fussbudget stereotype—no Felix Ungers or Adrian Monks here. Radical Virgos have the potential to change the world through their ability to develop and discover their unique pattern, becoming true human beings—not “human doings.” Radical Virgos give service in a whole new way by contributing to their community and world what they were designed to give. When we each do that, we have made heaven on earth. It’s like having all the cogs in the great wheel of creation turning like they were just oiled! You don't even have to be a Sun Virgo to have the characteristics of a Radical Virgo, though any planets in the V-sign help. You don’t join this club. You recognize that you already belong. This award-winning blog is a place where all signs—not just Virgos—learn how to express the best of their star map and are encouraged to do their best for the evolution of the planet. With the inception of the mixed media PsychKicks posts, Joyce is focusing her writing on all the tools in her medicine bag, astrology being just one of them. The more we know; the more we grow. Joyce Mason has Sun in the last degree of Virgo, three planets in Libra, Taurus Rising and a Capricorn Moon. She's a "PUNC," or a person with a prominence of the outer planets Pluto, Uranus, Neptune--add bridging and healing Chiron. 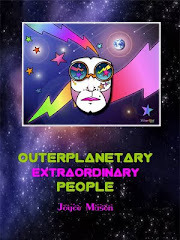 (See her Outerplanetary People series for more on PUNCs.) Joyce is often mistaken for an Aquarius/ Sagittarius blend. Even if you don’t speak astrology, that makes sense on some symbolic level because they both end in “ius.” She believes that I and Us are one in the same—and celebrates the human spirit in which we’re all joined. First and foremost a writer, Joyce was a consulting astrologer, tarot reader, dreamworker, and flower essence practitioner for 25 years. Her astrological specialties are the sign of Virgo and the centaur planet, Chiron. She writes on these and many other topics. 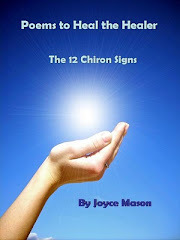 Read her complete bio and astrology articles on her Writer Joyce Mason website. The name The Radical Virgo comes from an article Joyce wrote in The Mountain Astrologer many years ago. It also evolved into a personal nickname. Radical Virgo Readers: Help me laugh at myself in my six-word memoir on Smith Magazine's micro-memoir site. Chiron Quiz: How Strong is Your Chiron? 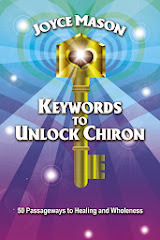 "Keywords to Unlock Chiron" - New Book Now Available in PDF! The Federal Trade Commission (FTC) requires bloggers to disclose any relationship they have between a product manufacturer or service provider, when writing about a product or service. ~ I am never paid to do a review. I never accept money to review a product or service. I invest my own time to review and test products. Occasionally, I will accept a free copy of a book or similar product before or after a review, but the review is not contingent on such an exchange. I review books or products only because they move me and for purposes of sharing "good finds" with my readers. ~ If I create a link to a product or service in a review, sometimes I may get paid a commission if you purchase the product or service. These links are included after the posts are written, and posts are never composed for with the intent to advertise. They’re provided primarily for your convenience, if interested in learning about a book or product mentioned. The commission merely helps offset the expenses of operating a blog. ~ No advertiser will ever influence the content, subjects, or posts made in this blog. Any exceptions to these policies will be stated at the bottom of any post to which they apply.